There are certain classics that never go out of style, and gold rings are one of those classics that just get better with age. For the classic man of subtle style, our men’s designer 8mm domed milgrain polished finish with comfort fit 14k yellow gold wedding band. A traditional style, this wedding ring is a welcome dose of sophisticated modern design. This men’s designer yellow gold wedding band has a polished domed profile bordered by milgrain edges. The domed profile offers a comfort fit, which usually measures half a size smaller due to additional metal inside the ring. Due to this different sizing, we suggest having your finger measured for a comfort fit ring at your local jewelry store. 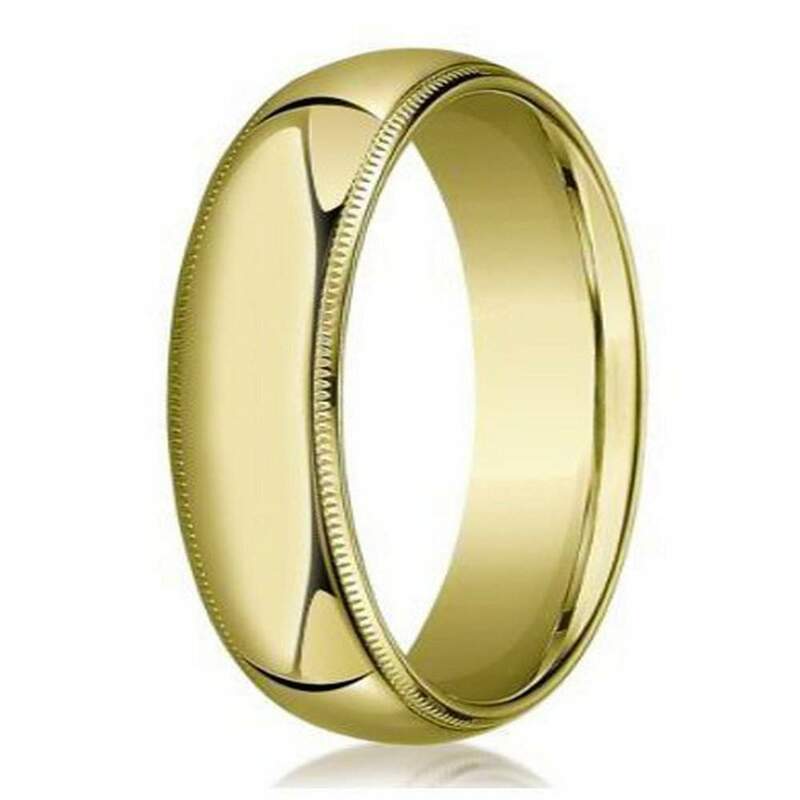 Whether you are saying your vows at the courthouse or at a destination wedding, our men’s designer 8mm domed milgrain polished finish with comfort fit 14k gold wedding band will offer shine and style for years to come. If you’re looking for something that will gleam as brightly as his smile after the I do’s, then look no farther. Yellow gold is a classic that is more accessible than ever.